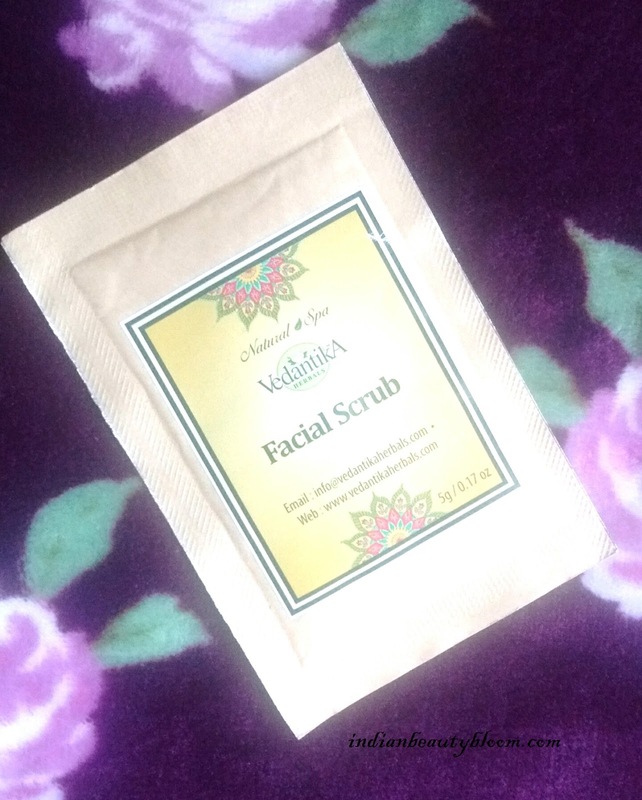 Today I am going to review a facial scrub from a brand Vedantika Herbals . 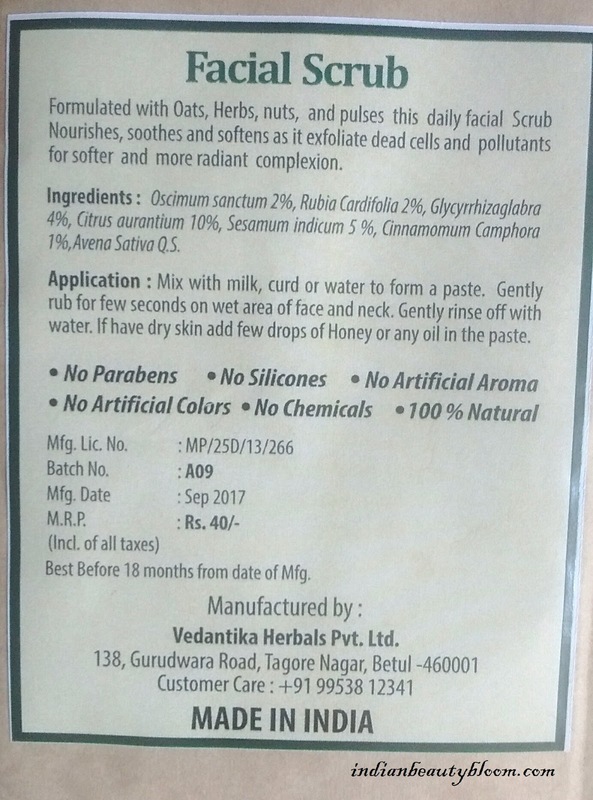 Vedantika Herbals is an Indian brand . They have wide range of products in beauty & health care . It’s products are chemical free and are made from natural ingredients . They use eco friendly packaging for their products . This facial scrub is formulated with Oats , Herbs , Nuts & pulses . It exfoliates dead cells and makes skin soft & supple . The scrub is in powdered form . One needs to mix water or milk in it to make paste . Then that paste can be used as a scrub or a face pack . For dry skin it is recommended to add little oil or honey to the pack . 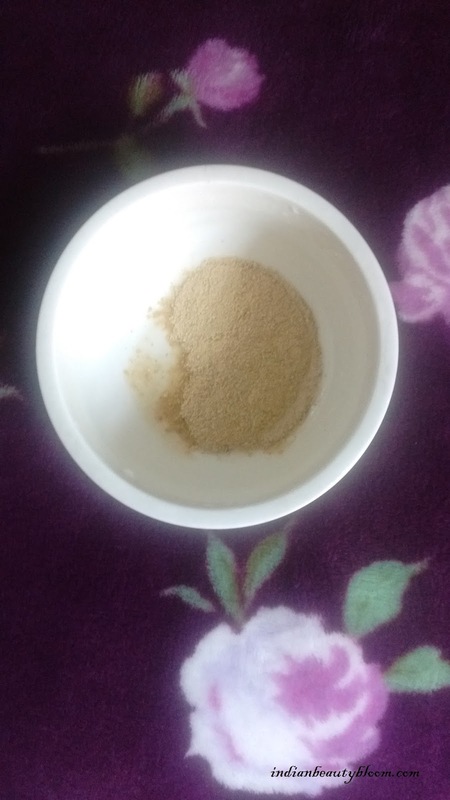 Since my skin type is oily, I simply added water to it and applied that pack on my face & neck and left it for few minutes and then scrubbed it gently and then washed it off with plenty of water . My skin felt clean & clear , oil & dirt free . So this is a good & effective product . 1. Free of Parabens , Silicones & artificial colors . 2. Contains all natural ingredients like oats , herbs etc . 3. Easy to use , one just needs to add water or milk to form a pack . 4. Helps to remove dead cells from skin . 5. Makes skin soft & Supple .